Welcome to Medals4Mettle! Thank you for visiting us! SIMPLE GESTURE: At Medals4Mettle we attach our branded ribbons (lanyards) to donated finishers’ medals (marathons, triathlons, half marathons and triathlons) and award them to children and adults for the mettle and courage they demonstrate battling cancer, chronic illness, trauma and other life challenges. These medals are awarded to pay-it-forward to those who must run a much more difficult race than the medal donors’ races; a race they did not choose to run: a race where the finish line might not be known. Medals4Mettle's mission is to provide an opportunity to unite endurance athletes with all compassionate human beings to create a new INTERNATIONAL NETWORK OF COMPASSION: KINDNESS WITHOUT BORDERS. POWERFUL IMPACT: Since the first medal awarded by our Founder Dr. Isenberg in 2005, over 55,000 medals have been awarded by approximately 70 chapters in 80 hospitals worldwide. Medals4Mettle (a 501c3 public charity) has been featured as the Grand Prize winner for the inaugural “Human Race” section of Runner’s World magazine and in many local and national publications. Medals4Mettle was also the initial recipient of The Arnold P. Gold Humanism in Medicine Award, the National Jefferson Award and many local and national community service awards. M4M has received funding from Lilly Endowment, several corporate entities and hundreds of small financial donations supporting M4M’s mission. Medals4Mettle is not just a charity for endurance athletes. 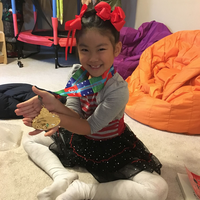 Medals4Mettle’s remarkable twelve years of widespread adoption and recognition has been accomplished with minimal funding and hundreds of kind volunteers. Adapted by medical, dental and graduate schools to teach humanistic behavior to students, the positive outcomes of Medals4Mettle for the volunteers, donors, recipients and families has been measured with rigid science. Our impact is proven by scientific, published data and our reach is limited only by our resources. 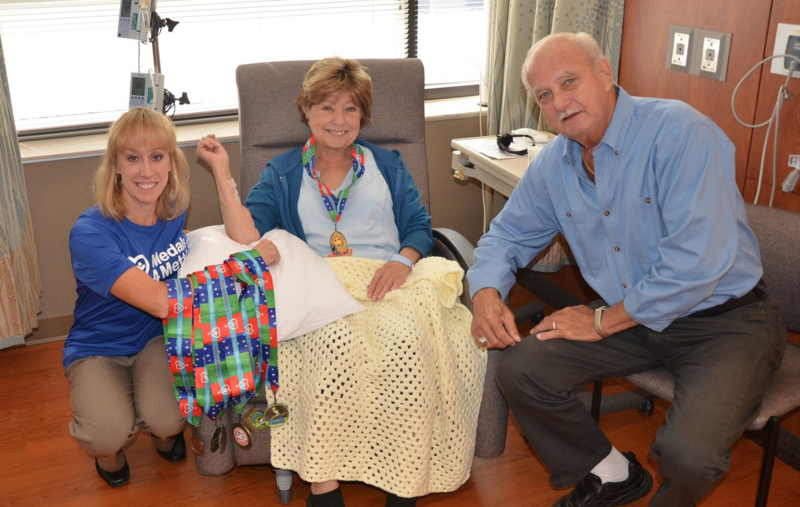 With your help, the powerful, positive impact of Medals4Mettle is unlimited! GLOBAL REACH: Is it possible for human beings to share our innate humanity with each other regardless of religion, nationality, gender, politics, race, culture or other obstacles? YES! The simple anonymous gift of a donated medal conveys that message as proven by our worldwide growth and scientific research of our mission. You don’t have to be a runner – most of us aren’t. Please search our website, social media and see the thousands of smiles and messages that will give you hope…hope that we can continue to establish the gifting of an earned finishers’ medal as an international symbol of compassion and goodwill. Volunteer. Donate medals, your talent and/or your money and send your message to the world today! WE NEED YOUR HELP! Thank you! That wilted where they lay. For pleasure, not for pain. With that of a newborn rain. Medals4Mettle is a public non-profit 501(c)3 organization.